For some time, I have been thinking of starting a blog to share my interest in knitting – over the past few years I have tossed around a number of ideas, but nothing seemed quite right. 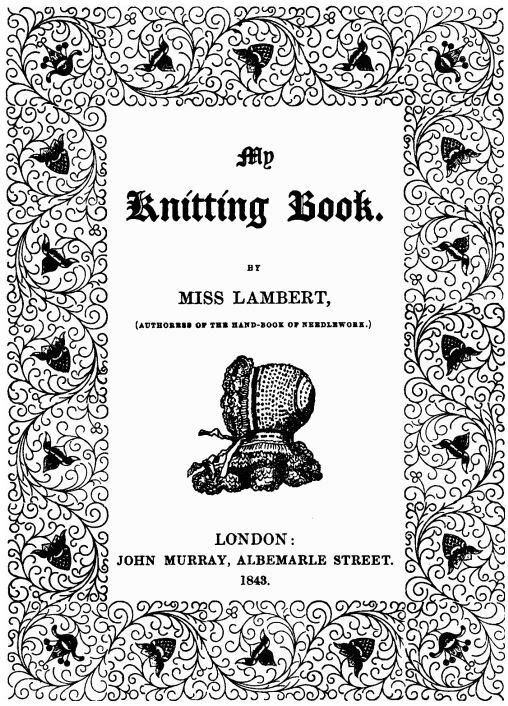 When I recently discovered that many knitting books and patterns from the 1800s are now available as e-books, they piqued my interest and I thought to myself, why not now? Why not use a blog to document my review of these books and my adventures in trying out some of the patterns? I been researching my family tree off and on over the past five years and find that just by looking through these pattern books, I can imagine my own ancestors looking through the same books and magazines and this gives me a stronger connection to my family’s past. I don’t really have a plan for how to approach the blog but I will begin by choosing a knitting book from the 1800s and see where that takes us! Next > So much to choose from!